Donald Trump's trade war with China is no joke. In December, it caused a 63 percent fall in US imports from China and, at the same time, there was a collapse of foreign direct investment towards Beijing. In November, it was 26.3 percent, according to data from the Ministry of Commerce, and this continued in the following months, although at less-devastating levels. The value ? ?of stocks on the Shanghai Stock Exchange has also fallen by 20 percent in the same period. Furthermore, the Chinese economy is beginning to drown in a sea of ? ?debt, as was the case in all the historically advanced countries of world capitalism in recent years, with the difference that Beijing has accumulated its debt over a much shorter period of time. The thing that worries the regime the most is that these disputes, which have been growing since 2008, are also starting to involve students. 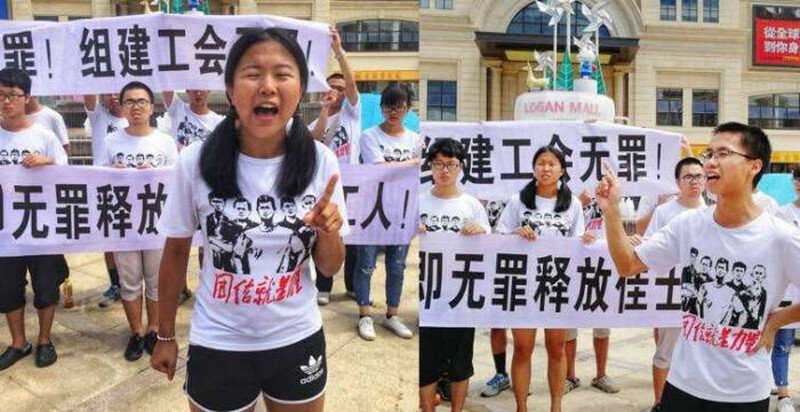 In Guangdong, the manufacturing centre of China and the world, about 50 students joined the workers of Jasic International at the end of July, and wanted to unionise legally under the ACFTU. The Jasic workers initially obtained permission from the ACFTU to unionise, but the latter then rescinded their permission which prompted the workers to enter into struggle. See our article: "China: JASIC workers' struggle reveals rising class tensions."